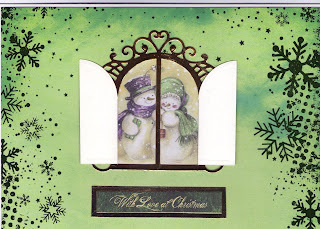 topper behind it and Marianne flourish dies behind a Kanban sentiment. 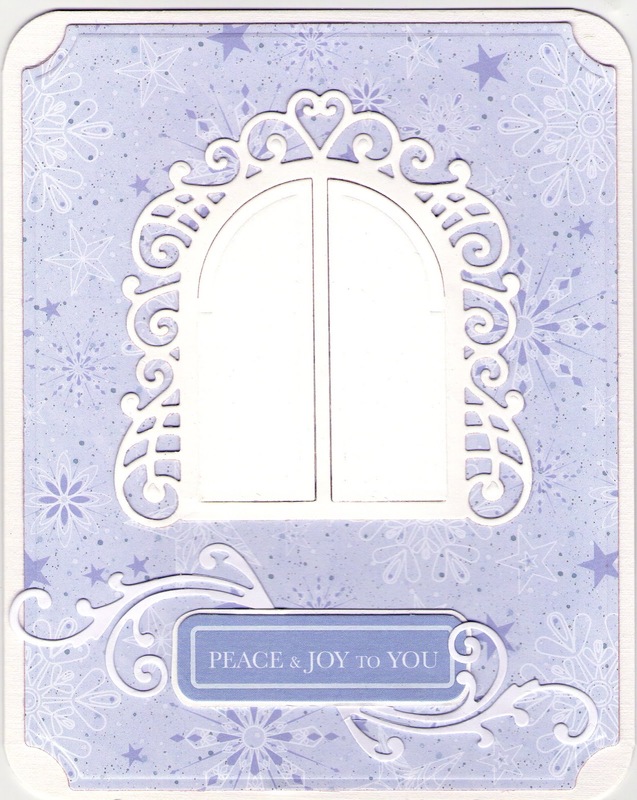 I also cut the backing card using a Spellbinders Grand die. Here is another card using the same window and backing card but with the window shutters closed. Looks a bit plain in the scan like this. 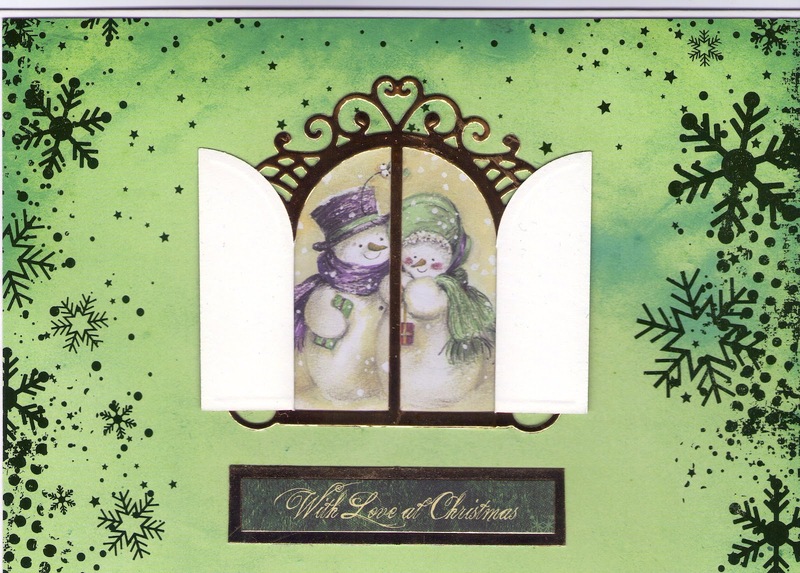 and another card using the same window and more Kanban toppers and sentiments. 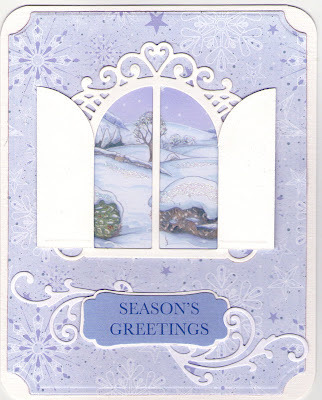 This time the window is cut with mirri card and the rest of the backing card from the card I made yesterday. 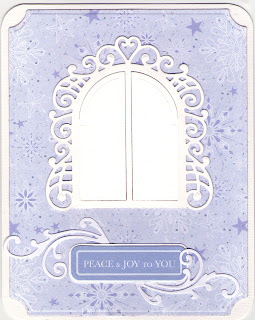 I like this card and will have to see if I can get anymore of it.